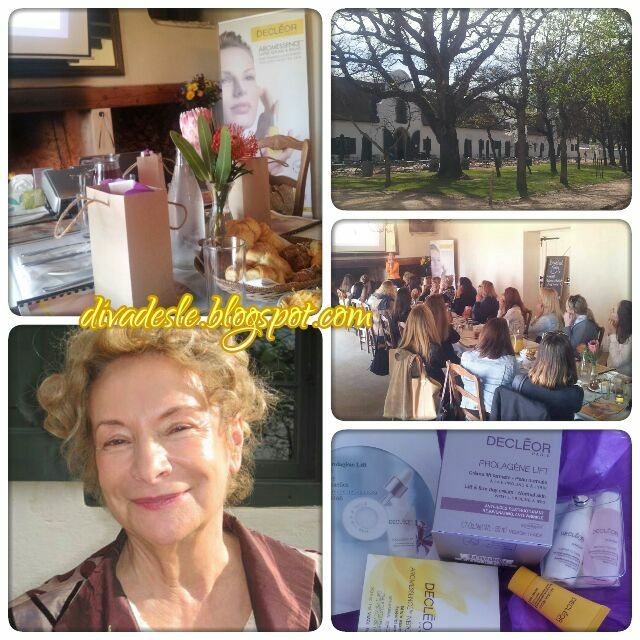 Last week Tuesday I attended the wonderful Decleor launch at the Jonkershuis restaurant in Constantia. The morning was filled with delicious breakfast treats and a wonderful presentation by the founder of Decleor, Solange Dessimoulie all the way from France. Solange took us on a journey back in time when the Decleor brand first started in 1974 to how it has evolved today in 2013. Decleor is well known for its skin care range combined with aromatherapy essential oils to give your skin care regime a holistic approach by moisturising your skin as well as relieving stress and relaxing your body. By combining the aromatherapy with the skin care range Decleor has created an anti ageing workout for the face called Gym Lift. Solange showed us step by step how to tone and sculpt the face in five minutes by doing simple massaging movements. These toning movements are really fun to do. Not only does it tone the face but lifts your mood and makes you feel rejuvenated. You can see the Gym Lift face workout here ! We had the privileged of testing the latest Anti Ageing Range called Prolagene Lift. The range contains an innovative eye cream which has a two in one massaging tube and application spatula. The eye cream smooths wrinkles and reduces dark circles. Next in the range is the Lift and Firm Day Cream, to sculpt and tone the face while moisturising. The Lift and Brighten Peeling Gel is an exfoliant used on the face and neck to brighten the skin. The Lift and Fill Wrinkle Mask reduces the appearance of wrinkles by smoothing the skin. 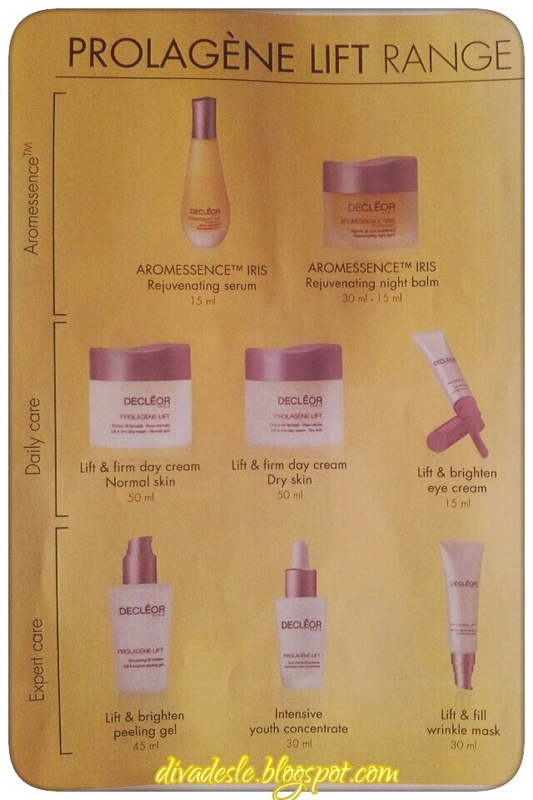 You can visit the Decleor South Africa Facebook and Twitter pages for more information. I need a gym lift! What an awesome event! Glad you had a great time Desle. I've actually started using the samples I recieved and absolutely fell in love with their products. You're so lucky to have been able to hear from the horses mouth all about the brand!